was founded with the sole purpose of providing aspiring wedding professionals with the best possible education. The Institute is dedicated to the highest standards, offering wedding planning certificate programs, business fundamentals, continuing education, certificate training classes, hands-on workshops, blended learning, seminars, webinars, flipped classroom workshops, internships, and job placement. Because the wedding planner plays such an integral role in the planning of a couple’s most important day, there is much to learn in the way of planning, budgets, working with vendors, contracts, revenue channels, not to mention keeping up with the latest trends in bridal fashion, color choices and wedding design. To address the demands of the industry Lovegevity’s Wedding Planning Institute programs are created for real-world application including experiential learning. This includes role-playing, vignettes and real-world, hands-on applications to practice for actual business objectives or work settings in the day-to-day of wedding and event planning. All curricula is developed utilizing a dynamic, interactive teaching method, focused on clearly expressed concepts and principles derived from research-based theories of adult learning and the goals set for learning outcomes and mastery. Our career counselors work closely with all students to understand their needs and to design educational career paths that provide the experience, engagement and competency needed to achieve the student’s objectives. Our board of education and core instructors hold a Doctorate or Masters Degree in Education and have a combined experience of over 150 years in the wedding and event industry from various specialties and backgrounds. Lovegevity’s Wedding Planning Institute is available to students who are interested in receiving the industry’s premier education in the business of planning weddings and social events. This certificate training program has been accepted by accredited colleges and universities around the United States as the standard curriculum and business training for wedding professionals. Lovegevity’s Wedding Planning Institute graduates are the top performers in the industry and we wouldn’t have it any other way. But don’t take our word for it, click to read what our students have to say about us. With a growing network of nearly 2,200 accredited colleges and universities offering our curricula, Lovegevity’s Wedding Planning Institute’s Certificate training programs are the most widely recognized and standardized programs in the events industry. The continued adoption of LWPI programs has created the opportunity to stay focused on the goals of our students, thus leading the way to new programs to meet the ever-changing needs of the individual learner. 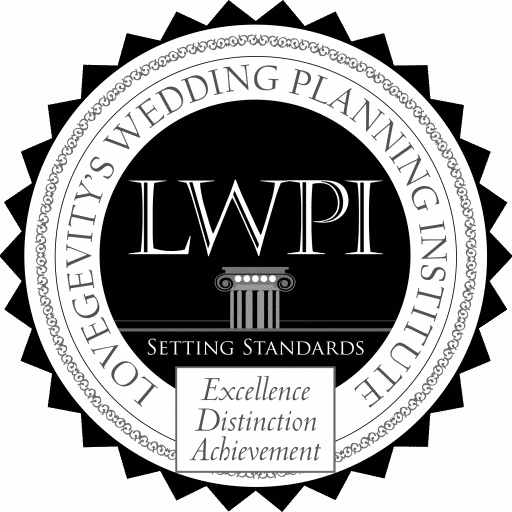 Lovegevity’s Wedding Planning Institute’s Master Class and WedTech programs are an example of this evolving curricula to meet the continuing education demands on event professionals to stay abreast of the fast changing landscape of this competitive industry. LWPI has also adopted student collaboration and feedback to help bring the most relevant and up to date education to our Master Class and WedTech programs. WedTech is a CTE program integrating Master Class with hands-on learning lab workshops, and internship requirements for matriculated students seeking a College or University degree in Hospitality Management, Event Management, Project Management, Interior Design, or other 4 year degree. Wedtech.Academy provides Career and Technical Education (CTE) programs focused on providing the core principals of alignment, collaboration, accountability, and innovation in Wedding and Event Design Technical fields for matriculated students. Working directly with both corporate and social industry to identify needs and customer demand. Collaborating with industry leaders, professionals and stakeholders to create curricula and skills training programs for workforce development. Implementing innovation and technology with real-world application and hands-on training to facilitate learning outcomes, through multi-level assessments, and successful job placement. Employability Framework is outlined by RTI International for the Department of Education contract EDVAE10O0102. This entrepreneurial program is the first of its kind recognizing Wedding Planning as a professional career option for thousands of individuals who aspire to be or currently work in the wedding and event planning profession or seek a degree in Hospitality Management, Event Management, or other 4 year degree. (UPCEA) Center for Research and Marketing Strategy offers the gold standard of research and benchmarking information in the professional, continuing, and online education field. UPCEA is the leading association for professional, continuing, and online education. Founded in 1915, UPCEA now serves more than 400 institutions, including most of the leading public and private colleges and universities in North America. For 100 years, the association has served its members with innovative conferences and specialty seminars, research and benchmarking information, professional networking opportunities and timely publications. Based in Washington, D.C., UPCEA also builds greater awareness of the vital link between contemporary learners and public policy issues. Today, AACC’s membership represents close to 95 percent of all accredited U.S. two-year community, junior and technical colleges and their 10.5 million students, as well as a growing number of international members in Puerto Rico, Japan, Great Britain, Korea, and the United Arab Emirates. Headquartered in the National Center for Higher Education in Washington, D.C., AACC is the primary advocacy organization for community colleges at the national level and works closely with directors of state offices to inform and affect state policy. LERN is an international association of lifelong learning programming, offering information and resources to providers of lifelong learning programs. For organizations engaged in providing any kind of lifelong learning program, LERN provides practical, how-to information not available anywhere else.